best career choices, best choices for love, and more! A detailed look at what is happening in your life now and in the near future; how long the cycles are likely to continue. A particular question may be researched for you. Note: We suggest the Birth Chart be completed first! Birth information for two charts required. Learn what are the strengths in your relationship, along with areas needing work . Specifically written for babies, younger children and teens. Understand how you can raise them better by understanding their personality. Where is the best place to live to attract a great career, love, challenges, opportunities, emotional connections, exciting experiences. Your birth chart graphed over a map with full explanation. Reports are available by email or for an addititional $5 we can mail your report to you in a presentation folder suitable for gift-giving. The client shuffles the cards, which will then be read and discussed. Input from the client is always welcome, as the story unfolds. 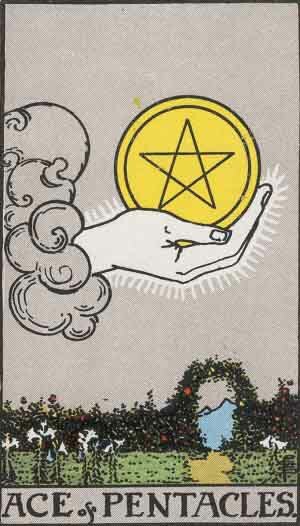 This card suggests money or valuables. An Ace is an opportunity for a new beginning or a new opportunity to earn or be given money. The cards are always read combining each one with the cards around it. All together, they tell a story and are a great counseling tool. They help you to come to a decision or see an answer to your question after looking at what your subconscious mind is trying to tell you through the cards. NEW: THE ASTROLOGY GAME OF CARDS – Have fun playing familiar card games while learning the basics of Astrology effortlessly! See details attached. When designing bracelets and necklaces, we use the colors that harmonize with your sign and attach a silverplate double-sided Astrological charm. For example, a Pisces would enjoy beads in the colors of seafoam green, aqua, lavendar with silver or other accent colors and we would attach a double fish silver plate charm. They can also be created without a charm for less. Add $4.00 for postage and packaging. Chain with hanging beads is $28. 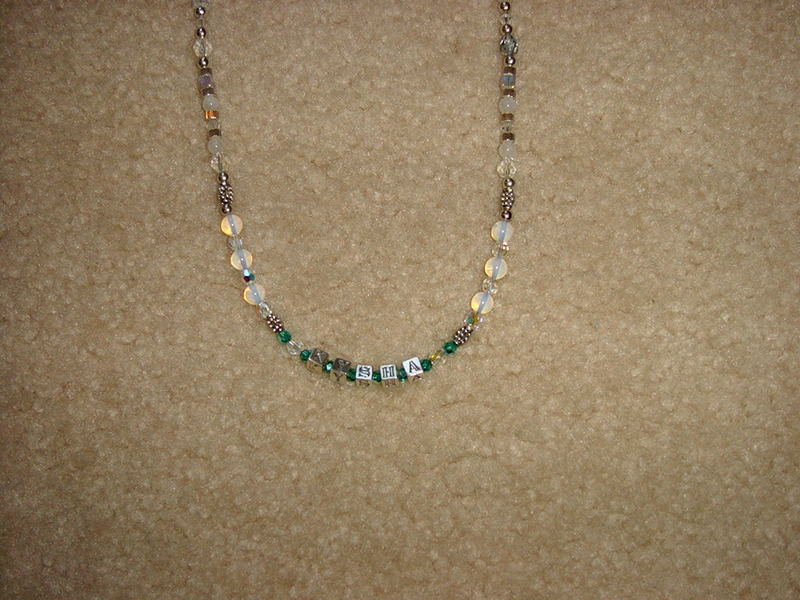 Can be done in various designs, colors and beads. “FUN OUT OF THE SUN” MONTHLY CRAFT & VENDOR FAIR 2018 where I sell jewelry and read Tarot cards.